The first thing I thought about Detroit: An American Autostphy is that the writing is fantastic. A journalist telling a story of the final days of Detroit reads like a non-fiction work by Thomas Ligotti. Some of the deaths described in the book rival My Work Is Not Yet Done — indeed, reading Detroit, it’s obvious that Ligotti is a Detroiter. 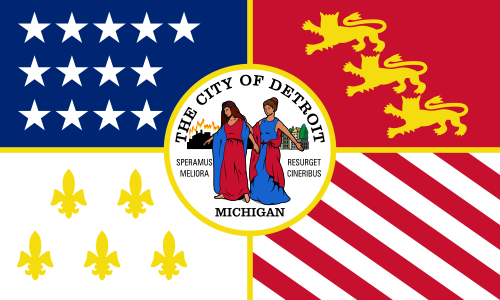 The city whose motto is “Speramus Meliora — Resurgent Cineribus” (We Hope For Better Things and Will Rise from the Ashes)– whose city seal features a depiction of Detroit burning to the ground – is a store of fire, ice, and waiting. 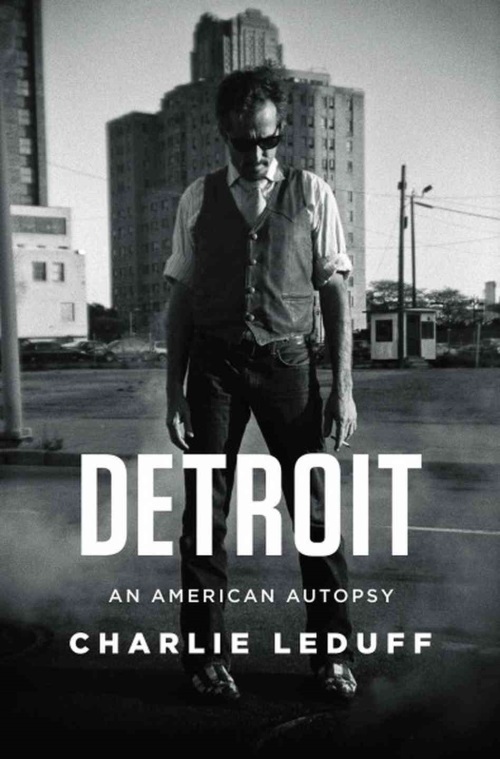 Author Charlie LeDuff writes like a pulp writer, bringing Detroit to vivid life in teh same way that Mike Daisey brought the iPhone factory to life for thousands who have seen his play or heard his work. The second thing is I bet part of it’s made up. So what to make of Detroit?Â It’s great writing?Â And the great writer, Charlie LeDuff? The writing is fantastic. There is no doubt about that. In the same way you are missing part of the human experience if you never hear Mike Daisey, you are missing out on life by not reading LeDuff’s writing. The story of Detroit is fantastic — firefighters, terrorists, corrupt politicians, hookers, even a reality TV show. As I said, this is a non-fiction Ligotti work. Detroit the book is a great read. Detroit the citty seems really, really terrible. Really bad. The imagery is vivid, and not necessarily false. I’ve never been to Detroit, but just because LeDuff may be a Mike Daiseyish storyteller does not make the message he has false. I’ve been to China numerous times. I’ve been to factory towns. I’ve spoken with people in the factories. The Agony and Ecstasy of Steve Jobs is fundamentally true, even if it’s not fundamentally journalism. The worst part of Detroit is the lack of context it gives. It’s an excellent piece of thrill-storytelling about a place, but the reasons it give are superficial and impressionistic. Nature’s Metropolis and Seattle: Past to Present both give a sense of place and time, of the economy and the history and the heroes. Detroit only gives the macarbe. I read Detroit: An American Autopsy in the Nook edition. The Nebraska / Wake Forest match was very good. The game was scheduled before the Wake-Forest-as-conference-champ days, but it was satisfactory to dispose of last season’s ACC victor. That the victory was only be three points made it all the better to watch. Likewise, listening (via ESPN Radio) to highlights of the Michigan / Oregon game was terrific. With all apologies to the greatness of the Pac 10, the public immolation of Michigan — and with her the Big 10 generally — has a very ritual-sacrifice feel to it. “Michigan Preparing To Let Doctors Refuse To Treat Gays ,” Proud Parenting, http://www.proudparenting.com/page.cfm?Sectionid=65&typeofsite=snippetdetail&ID=1204&snippetset=yes# (from Jaakko at Lounsbury on MENA). Doctors or other health care providers could not be disciplined or sued if they refuse to treat gay patients under legislation passed Wednesday by the Michigan House. Happy news. The story is about rolling back government social engineering, freedom of contract, and denormalizing homosexualism. Michiganers should be proud. The Conscientious Objector Policy Act would allow health care providers to assert their objection within 24 hours of when they receive notice of a patient or procedure with which they don’t agree. However, it would prohibit emergency treatment to be refused. Of course, not everyone is happy. Some people insist on special rights. Rep. Chris Kolb (D-Ann Arbor) the first openly gay legislator in Michigan, pointed out that while the legislation prohibits racial discrimination by health care providers, it doesn’t ban discrimination based on a person’s sexual orientation. “Are you telling me that a health care provider can deny me medical treatment because of my sexual orientation? I hope not,” he said.